I've lost over 90 lbs by doing the (Original) Belly Fat Cure and eating Healthy. Now I continue to write this blog for you to offer Support, Weight loss tips, and Healthy Recipes. Patti: cur/191 - goal/ ? Anyone who would like to join us in our weight loss goals, just click on"Join This Site" on this blog, then post a comment under the current post w/your name, current weight, goal weight that you want to be. Come on! Join us and let's cheer each other on!! Update Crystal current 171, I have been following a Paleo diet to control my diabetes, I'm now off insulin and lost 44 lbs since April 22nd. So frustrated!! Started at 169 on 10/31/13. As of today, 11/20/13, at 161. Definitely not 4-9 pounds a week. I'm working out and running like crazy. My goal is 145. Any suggestions? 8 lbs in 3 weeks is great! You will not lose 4-9 a week and that's not healthy anyways. If you are exercising a lot you might need to eat more carbs. Don't skip them. Like at least 1 serving per meal - at least for breakfast and lunch. I haven't stepped on a scale in a few months. I weighed myself this morning and was shocked to see see I'm down to 195! (I started at 267) I don't remember when I was last below 200!!!!! I'm so grateful for your blog - you have no idea how supportive you've been to me! I weight 240, goal weight 150lb. I am just starting to follow Jorge Cruises books. I am not sure which one I should buy. The 100 or the Belly Fat Cure. Can you help me? I have always done the Original BFC. My name is Maggie. I weigh 180.9 and would like to reach my goal of 160 lbs. This is my 1 st day on this blog and I have never blogged before! I found this site on Pinterest and liked Rosalie's video. I have been on the original BFC before and am back on trying again to reach my goal and make is a life long way of eating. I have also QUIT smoking!!!!! Hi Maggie - I am very proud of you for changing your life in the right direction. YOU CAN DO IT!! Thank you so much! You are an inspiration and so down right honest, I love it! I have been looking over all the recipes and looking forward to trying so many of them. Think my husband will like them too. I know that losing gradually is the way to go, and will try not to jump the gun and get discouraged. I am 65 yrs. old and realize that my metabolism has really slowed down too. I want to stay positive, continue my exercise and make some of your delicious recipes. They give such a wide range and a variety of ideas so one doesn't get bored with the same ole thing. Will keep you posted. Rosalie, have a question about the Chia Seed Pudding. On the recipe it list S-0/C-1. Is this ratio for 1 cup of Chia Seed Pudding? The bag of Chia Seeds I purchased shows 1/4 c. has 16g. of carbs, 14 g. fiber, 0 sugars. if I eat the whole cup, that makes 48 carbs (which would count as C/2) Am I correct or just not getting this right? I used 4 T of the chia seeds, which I counted as 17 fiber????? Really enjoyed the pudding! but you don't have to use that much if you want only use 2 tbsp. Thanks Rosalie for the quick answer. I will follow your directions. It is so good and creamy! Hi, Rosalie - I'm ready to get with the program! I am at 180 currently. My goal is 135. Thanks for all the support and inspiration! Hi Rosalie! Today is my day one!! I am currently at 153.5lb and my goal is 125 lb! you are my inspiration! I started last week doing a women's bootcamp class three times a week in hopes it will help shed some of the fat and keep me toned as I lose weight. I usually get discouraged so quickly but I will try not to this time. In the past, low sugar was the only thing that worked for me. I hope this works!! I seem to have hit a plateau after losing my first 5 pounds. I have stayed the exact same weight for 8 days now! Won't throw in the towel, but it sure is frustrating! Still want to lose another 15 pounds. First make sure that you are staying under the 15/6. 15 sugars and 6 servings of carbs for the whole day. Thats no more than 5 sugars and 2 servings of carbs per meal. Track all of your sugar/carbs. Add everything from your meal together and count them that way. Try to stop eating whole grain carbs after 3pm. Count everything that you put into your mouth. Even sauces - everything , check labels. Make sure that you don't eat any artificial sugars. Check labels, if it says sugar free - look in the ingredients, look for....sucralose, aspartame, saccharine in the ingredients. Those are BAD! Going #2 is a big problem when a lot of people start the BFC. I have solved that problem with Clear Benefiber in my morning coffee and a scoop of Super Seed w/water in the afternoon. (you can buy the super seed on Amazon.com it is the cheapest). Choose your carbs wisely. Try to pick the carbs that will give you the lowest count of carbs, sugar and calories and the most fiber. Living, Blogging & Clean Eating. The Day Music Died: Prince is Dead. Happy Goal Day to Me! My Journey to a New Me!! formerly known as :Losing it with the BFC! Happy Hormones, Happy Wife, Happy Life! Momof2girls getting healthy the BFC way! 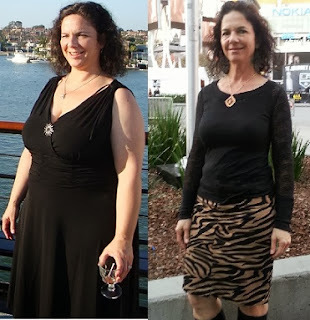 Living la Vida Low carb & Low Sugar lifestyle: Stevia sugar reccomendations? my two morning secret fat burning tools! 2012 on Belly Fat Cure! Introducing Wild Hearts Baking Co., My New Adventure! Hey Griswold. Where do you think you're gonna put a tree that big? 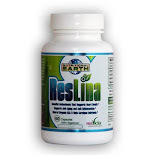 Nourish Your Body like Never Before with the BEST Resveratrol and Spirulina!! The information contained in this Blog/Website is provided for general informational purposes only. It is not intended as and should not be relied upon as medical advice.The information may not apply to you and before you use any of the information provided in the site, you should contact a qualified medical appropriate professional. If you utilize any information provided in this site, you do so at your own risk and you specifically waive any right to make any claim against the author and publisher of this Website and materials as the result of the use of such information.